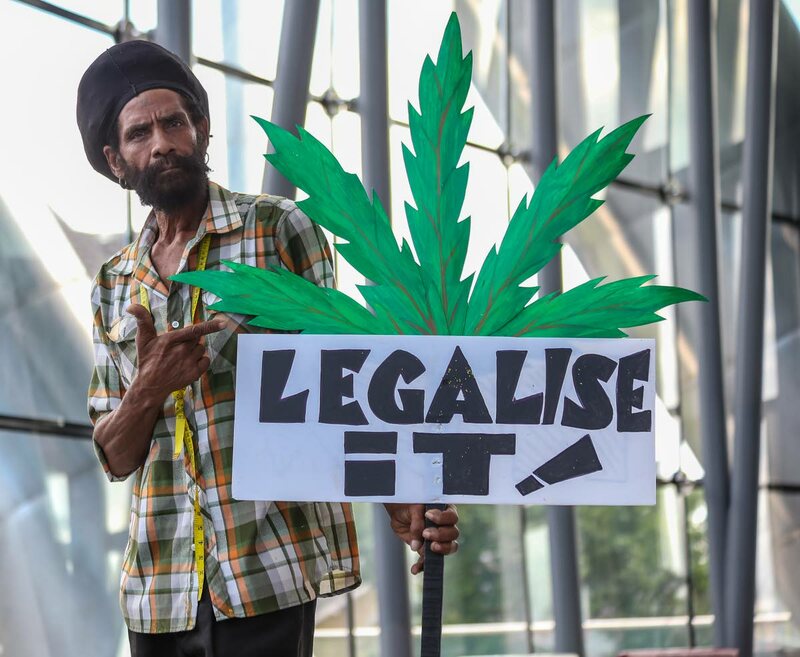 He said Rastafarians have been persecuted the most for the drug and, historically, they have paid it the most respect as they use it as a sacrament. Jeffers said he was overwhelmed by the wealth of information Al-Rawi presented. “All that talk and talk, it started to give me a headache,” Jeffers said, “is a good thing I smoke before I come. He told Al-Rawi he didn’t have a clue about how dangerous it is to be a rastaman. Former attorney general Garvin Nicholas said he also supports decriminalisation. There were those opposed to decriminalisation who also voiced their opinions. One, a recovering drug addict who said he has been sober for more than 35 years, advised government against rushing to decriminalise marijuana, because they would miss out on an opportunity to rehabilitate addicts. During his presentation, Al-Rawi said 23 per cent of the prisoners who were on remand between 2013 and 2018 were held for marijuana-related offences. He added that over 53,000 narcotics matters were brought before the courts in the past eight years. He also said between 2007 and 2018, more than 80,000 marijuana-related matters were filed at the magistrate’s court. He juxtaposed that information to findings on the rate at which courts handle cases. He said 40 per cent of the cases which are filed at the courts are disposed with each year. Reply to "Rastas: Give us a break"